Congratulations to Dr. L. Ruby Leung, globally renowned atmospheric scientist and Laboratory Fellow at Pacific Northwest National Laboratory. Leung recently was named a Battelle Fellow, which is Battelle's most distinguished research scientist position. Leung, whose research focuses on Earth system modeling and the water cycle, joined the PNNL staff in 1991. She has played a foundational role in the growth of PNNL's Atmospheric Sciences & Global Change Division, from its roots as a small group of scientists focused on atmospheric dispersion and boundary-layer processes to its current status as one of the premier atmospheric science and climate research groups in the world. She is now shaping new research directions at the U.S. Department of Energy (DOE) Office of Science through her leadership in DOE-sponsored research and her role on the Biological and Environmental Research Advisory Committee. Leung has a long record of scientific achievements to her credit, among them a recent election to the National Academy of Engineering, a prestigious honor awarded to the most accomplished scientists and engineers in the nation; Chief Scientist for the DOE's Accelerated Climate Modeling for Energy (ACME) project; a member of the Science Steering Committee for the Community Earth System Model, a forerunner to ACME; and co-chair of the NOAA Science Advisory Board Climate Working Group. She is a fellow of the American Geophysical Union, the American Meteorological Society, and the American Association for the Advancement of Science, as well as a member of the Washington State Academy of Sciences. Leung has a proven record of scientific output with more than 200 peer-reviewed publications and a combined record of more than 8,000 citations. She is author and co-author of papers in world-leading journals and of chapters in international body reports such as the Intergovernmental Panel on Climate Change Assessment Reports, and has been featured in prestigious national news and science media. 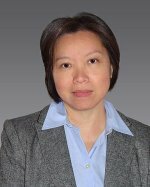 For more information, see the PNNL news release, "PNNL scientist Ruby Leung appointed a Battelle Fellow."